Course Redesign Update: June 30: new units from Arthur Ryder! (i.e. 16 options one week, 15 options the next week, 13 the next week, and so on; details here). The grand total: five trillion and counting. Precisely: 5,693,276,160,000. Choice is a VERY powerful multiplier! A very busy and VERY successful day I think. No time to write up a post here but lots of G+ posts to share. I got caught up today on writing overviews, so the overviews for all the Asia/Pacific units are done, and I arranged them (the power of time/date stamp) so that the Asia label brings up all the units in a logical order on the same page: Asian Units. I also wrote the mini-blurbs for the table and added the icons for the books with FREE Kindle versions; it's quite a few of them. You can see how that is shaping up here: Asia/Pacific Selections. For the next round, I'll do write-ups on all the African units, and then I will have that two-week section of Asia and/or Africa all done! Meanwhile, tomorrow I get to add new units, so I'll be adding the last Middle Eastern unit and moving on to India, the jumbo-module that will have 12 units instead of just 8. Very excited about all that! I got back to work today (happily! ), and that meant I was able to add two new units. See relevant Google+ posts below. Tutinameh, Tales of a Parrot. Folk-lore of the Holy Land: Moslem, Christian and Jewish. I took a break from my reading adventures today because of some medical stuff. So, this is not part of my course redesign diary, just a note about what I did today; Google+ post below. I've been adding more to the Pinterest Boards - Reading Units and Favorite Stories - and I also added two more units to the Mideast / Central Asia modules; see Google+ posts below. And I embedded a pin! Course Redesign Update: June 23 - Pinterest! I can't believe I did not make a Pinterest Board prior to this. I've created a board for the reading units, and now I need to make one for favorite stories. I will get the students' help in populating this one, but I can start populating it for now. With easily four or five of my own favorite stories in every single unit, it will be easy to come up with a "favorite story of the day" for a whole year, and Pinterest will be a fun space in which to build that. So, here's the Google+ post about the new board, and here's a link to the board itself: Myth-Folklore UN-Textbook. And of course I can embed the board below, whoo-hoo! Hopefully I'll have time to build the stories board later today! Follow Laura Gibbs's board Myth-Folklore UN-Textbook on Pinterest. Today was a new-unit day, and I finished up the last of Asia/Pacific units and am now moving on to the Middle East units. Relevant Google+ posts below! Myths and Legends of Ancient Egypt. So for the first time, after running those numbers yesterday, I had a glimpse of the proverbial "light at the end of the tunnel," so that instead of feeling like I had just started this project (like I did back in early May) or feeling that I was lost in the thick of it (all this month), I now feel like I am moving towards the end... which is a good thing, since I need to wrap up this first phase of development by August 1 to give me time to revise assignments, etc. for the actual class — and, just to make that more challenging, school is going to be starting earlier than it ever has in my memory. Classes begin on August 18 (why not August 25???? ), which means I have to have my classes up and running on August 11 to give my students the full week head start I always like to offer them. Man, that is so early. And, of course, the solstice seems like a good occasion to ponder the transition from the beginning phases of a project ... gradually ... into its concluding phases. Anyway, yes, the end is in sight: By having gotten 70 units posted, that means the Week 2/3 module (Classical/Biblical) is done, the Week 6/7 module (Asia/Africa) is done, and so is the Week 9/10 module (Native American). So, that is half of the weeks posted fully, and the other units are in various stages of development; 48 units in the completed modules, plus 22 units scattered throughout the modules that are not yet done: Week 4/5 Mideast/India, Week 11/12 British Isles, and Week 13/14 Europe. And what I did just today was to go through and finalize my choices for two more of those weeks: I squared away all the Middle Eastern readings that I want to post so that they really are ready to post (selected, segmented, everything), and also for the India readings, which is an extra-big group — 12 options instead of 8, since I am also going to offer that to my Indian Epics students, so I will be getting more story bang for my story buck there. I had to wrestle with one OCR portion (some of the Raja Rasalu legends that I really wanted to use came from Swynnerton which I could only get as OCR from page scans), but luckily all the rest of the materials were easily taken from Gutenberg or other nicely digitized sites. Anyway, all the remaining India units are all selected, segmented, and ready to post. India: Feast! 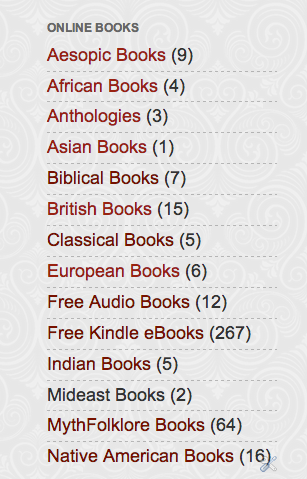 For India, I have dozens of public domain books I would like to use, so narrowing it down was really hard. As a result of all the British living in India for all the many years of the Raj, and their sincere enthusiasm for the stories that they heard while living there, the wealth of story collections is just breathtaking. I'm even going to be able to include a Khasi book AND a Santal book, which will hopefully introduce students to the India that extends beyond the Hindu/Muslim world that they know about, and I've already got some great Buddhist reading units to bring forward the importance of India as the birthplace of Buddhism. Meanwhile, I had to set aside so many books that I would like to use, and one of my priorities for adding more content will be to come back around to India and add some more. I'm one of those people who sees much merit in the old "Indian origins" hypothesis for the way that storytelling streams emerged from India, spreading outward and all over both Europe and Asia thanks to both monks and merchants, and accumulating these India reading units will hopefully be a way to let the students get a sense of why India can make that claim to be a worldwide storytelling source. Middle East: Famine. This is so discouraging to me because, just speaking for myself personally, the storytelling traditions of the Middle East were a key factor in my decision to go back to graduate school and to finally go beyond the very Euro-centric education that I had as an undergraduate (majoring in Classics and Slavic). Yet for public domain materials, I am in trouble here. I cannot find any really readable public domain versions of the Persian poets (Rumi, Attar, Sadi, etc. ), and I am also stymied by a lack of Arabic folklore in 19th-century and early 20th-century books that I can use. And, unfortunately, the Koran itself is pretty much intractable; it just does not lend itself to use in this class the way the Hebrew Bible and Christian gospels do. 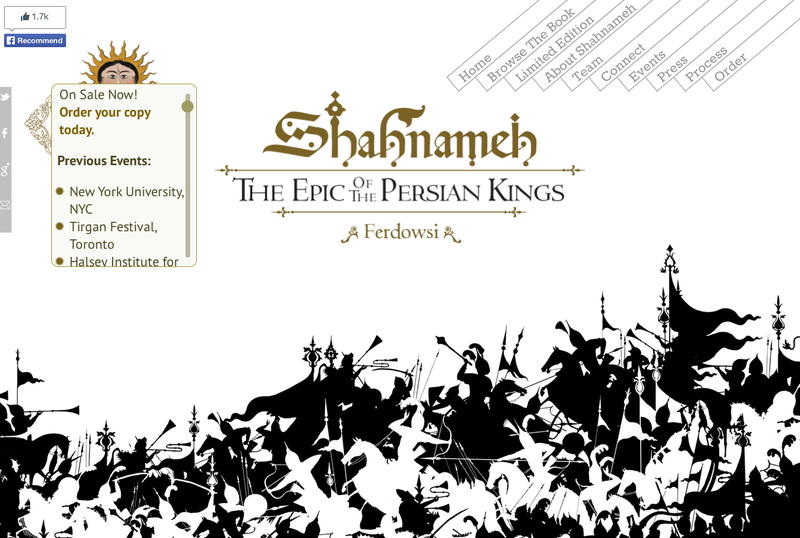 So, for example, sitting right now on the table in front of me, I've got an amazing edition of Shahnameh that just came out and which I am eagerly reading (it has a lovely website too: Epic of the Kings; see screenshot below), but I cannot find a public domain translation or retelling of the Shahnameh that I think would really grab my students... although I am sure they would this beautifully illustrated modern retelling! Admittedly, epic is a big problem for me in general in this class since the focus is on shorter reading, but with Homer, Vergil, Ovid, etc., there are all kinds of possible options to choose from, so many 19th-century experiments with retelling those epics for different audiences (along with the great generosity of Tony Kline in making his translations available for free online), but not so for Persian epic. Now, don't get me wrong: I am very happy with the eight Middle Eastern reading units that I am able to include in the class (and Hanauer's book, weird as it is, actually captures the spirit of Islamic folklore that Ginzberg's Jewish legends bring to the Bible week), and I think the students will enjoy the available options a lot, especially 1001 Nights. But I will be very aware of the fact that I am not giving to the students the same stuff that thrilled me when I was twenty-something and fell in love with the storytelling traditions of the Middle East. Rumi was the real trigger for me, and I first got to the Panchatantra by working backward from Rumi to Kalila-wa-Dimna, not the other way around! 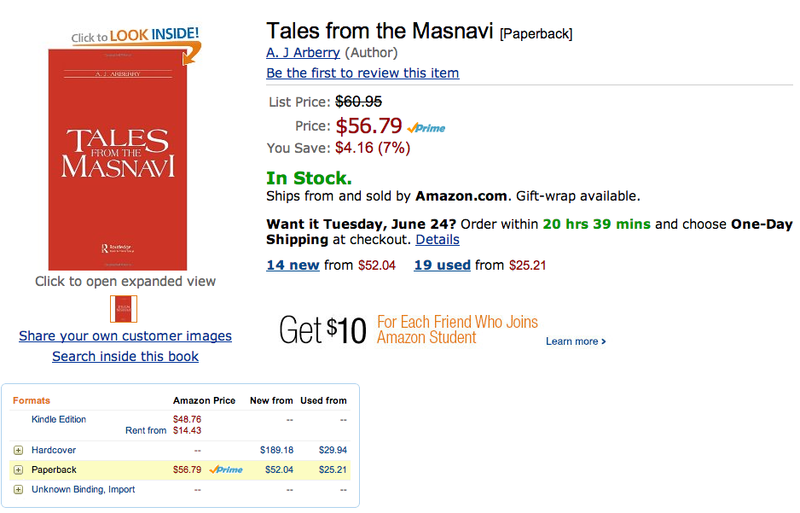 For Rumi, for example, what I want to give people are Barks' poems and Arberry's retellings of the stories in Tales from the Masnavi - what an awesome book... but look on the price of that and despair (screenshot below - even a Kindle RENTAL is $14). The publisher (Routledge now owns the rights apparently) is still committed to making serious money off this book, even though Professor Arberry departed this world in 1969, so he is not around to collect the royalty checks. It's very depressing. I guess I should consider it a lucky thing that the book is even still in print! A quick perusal of my copy shows that I bought it, used, for $10 at Shambala Bookstore in Berkeley... a bookstore which no longer even exists, alas. Anyway, at least I have got a public domain Tuti-nameh (Tales of a Parrot) for the Middle Eastern section, if not a Shah-nameh... so all is not lost, ha ha. Okay, I need to get to work but I thought today would be a good moment to reflect on all this before I take the plunge into this final phase of adding content, so much of which is coming from India, making me very happy indeed. Course Redesign Update: June 20 - almost a trillion! (which means: 16 choices in week 2, 15 choices in week 3, and so on for the 12 weeks in which students are choosing what to read). Another day has run away from me, but here are my UN-textbook posts from Google+ again. I like the way Google+ provides me with a kind of blogging safety net, giving me something to put in this blog every day even if I don't leave myself time to write up an actual blog post here! All the Biblical Unit blurbs are done! Course Redesign Update: June 18: Japan! Course Redesign Update: June 17: Anansi! Today was a proofreading day, and I ended up spending all afternoon on Anansi, but it was worth it! I love these stories and I know from students' struggles with them in the past (this is a unit I have had in my class since the beginning) that I needed to put good notes for every story. Plus, now I am able to link up to West African stories of Anansi which was so exciting to be able to do! Anansi stories. Notes for all the stories: whoo-hoo! Native American Overviews: DONE! With the four overviews I wrote this morning, I have overviews for the whole Native American module, all sixteen units. Whoo-hoo! Course Redesign Update: June 16: on to Asia! Chinese Fairy Tales. So excited to have this be part of the class! Brer Rabbit. I shared several Brer Rabbit posts as I was proofreading just because they are so much fun; here is one. African tales in Lang. Added this because of the available audio! Another busy day today but I managed to stay on schedule (barely... all kinds of other things going on!). I did a lot of adding images to pages, including images for Hiawatha. This Nokomis was lovely I thought: Hiawatha's Childhood. Content Tables in the Google Doc. Course Redesign Update: June 14 - More Native America and... Africa! Again, a busy day - after getting the Native American stories squared away (still LOTS to do, but I've published and read through all the units once), I'm moving on to the Africa units since that seemed a good way to follow up on all the great trickster stories I've been reading. So I posted two more African units today: Congo Stories and a second Brer Rabbit unit. This one includes some stories in verse, and with color illustrations. 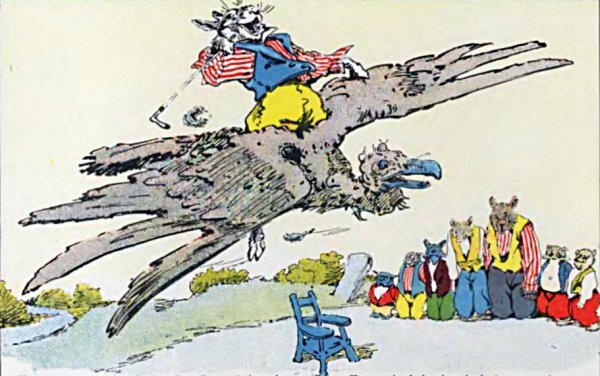 For example: Brer Rabbit's Flying Trip. Here are Google+ posts about other things I did today! Start the Day Off with Stories. I worked on all kinds of things today, all fun! I've included the Google+ post below about getting the Classical Unit overview page set up, and I also worked on proofreading more of the Native American units: Hiawatha (I think the students will be really intrigued by that! ), and I was so pleased with the children's book, American Indian Fairy Tales, that retells some of the same stories, using Schoolcraft as a source just as Longfellow did. 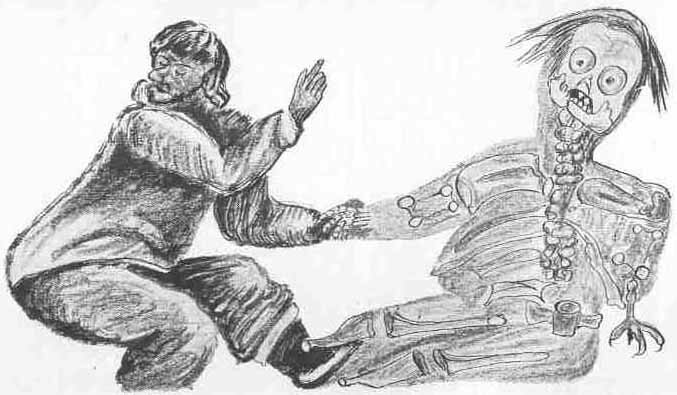 That book also has some wonderful illustrations, like this depiction of the North Wind in the story: Shin-ge-bis Fools the North Wind. A busy day today, so I'm just going to include my Google+ posts about progress so far! I did some important housekeeping today, adding labels to posts in order to give myself some more navigation options for the website, both for my own convenience, and to make things easier for my students — and for visitors too! I checked to make sure I could have so many labels at Blogger, and sure enough you can have up to 2000 labels, so no problems there. I'm using a lot of labels to manage my editorial process (proofreading, adding images, etc. ), and there is also a label for every reading unit (for example, Apache Tales). That meant I already had a hundred or so labels in active use, but I'll certainly never get anywhere near 2000, ha ha. So, after all the housecleaning today, there are also labels that pull up display pages for the modules, showing the index page for every unit in that module. For example, here are the Native American units. Those labels should be really handy as students are deciding which unit they want to read in any given week. I haven't figured out yet just how to organize the index pages for each unit; that is the next housecleaning task I need to work on. I've also created labels to organize the books into groups, and I've begun the process of standardizing my book pages, deciding on which web sources to cite for the online books. So, here are some examples of posts that I've revised to reflect the kinds of online sources I think are worth listing; I'm using the label "donelib" just to keep track for myself of which posts have good bibliographies: finished book posts. Meanwhile, you can see the various book labels here, like the Native American Books, for example, or the Free Audio Books. 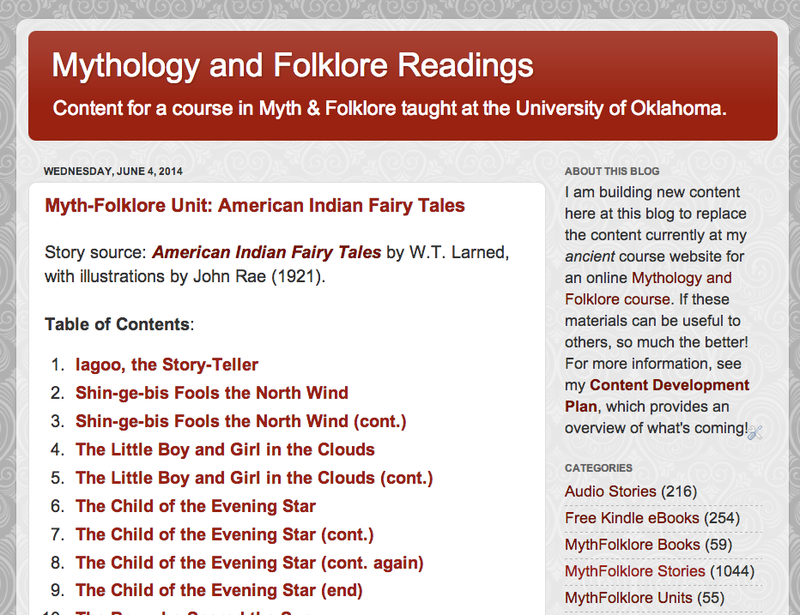 Course Redesign Update: June 10, Native American module getting close to done! An exciting milestone today: I added the last two Native American units (see below), which brings me up to over 100 billion un-textbooks, ha ha ha (on that also see below). I'm already looking forward to when I can add more units too; in the process of coming up with this group of 16 units, I had prepared some other possibilities; for a few of these, I already had all the stories picked out and everything: Maidu stories, Miwok stories, Pit River stories, Southeastern Rabbit stories, Tlingit Raven stories, Yokuts stories, Linderman's Indian Why Stories, and Native American items from Andrew Lang's books (Lang has the advantage of coming with audio versions). And, of course, there are so many more options above and beyond those too! Over one hundred billion UN-textbooks. The final two Native American units: Thompson's hero tales AND Judson's British North America, which I wrote about at Google+. I then finished up the day by proofreading the Blackfoot stories from Grinnell - and WOW, what a great unit! I had picked that out because it had audio available (there just is not a lot of audio for Native American materials), but now I am so glad I did. The stories are fantastic, with so many good opportunities for comparisons and contrasts both with other Native American stories and stories in the other units too! 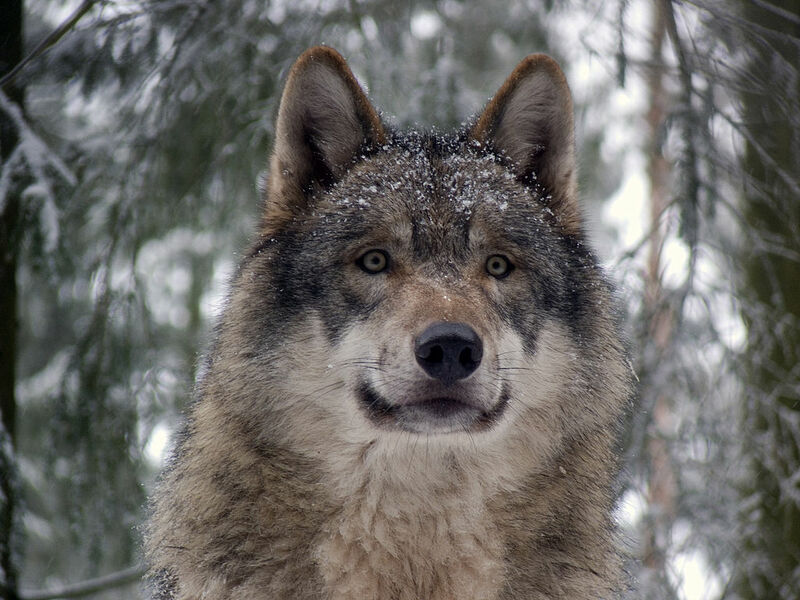 One of my favorite stories was a story about a "wolf man," but it is not what you expect: this is a man who goes to live with the wolves, for very understandable reasons. Here is: The Wolf Man. Such a good day today! I documented my Reading Diary ideas in more detail (see Google+ post below), and now I am doing Reading Diaries as part of the proofreading. Today I did Great Plains, Sioux, and Cherokee. 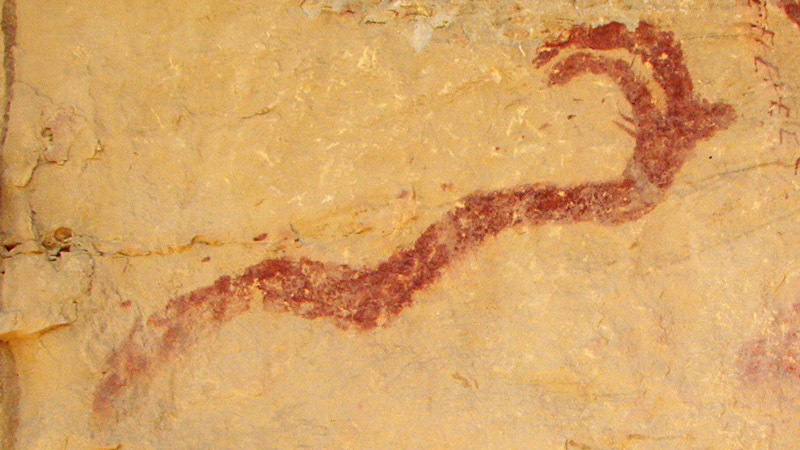 I also got images added to all the Cherokee stories, and even found a couple of horned serpent petroglyphs to go with the Uktena stories, although they are not Cherokee petroglyphs. Here is the first of the Uktena stories: The Uktena and the Ulûñsû'tï. Reading Diary update: my step-by-step strategy. I also found a HILARIOUS item in one of the Great Plains stories - a euphemistic use of Latin. I posted about that at Google+ too. A very good day indeed, although it was a short one as we had a dinner party tonight (just finished, it was all yummy). Anyway, because I knew I would only have part of the day today, I was super-focused. I added a new illustrations icon to my content list to help me keep things straight, plus working more on the Reading Diary ideas (thanks again, Justin! 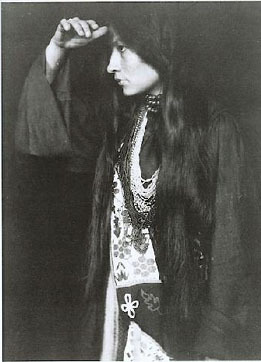 ), and I also added two new units: Grinnell's Blackfoot stories and Stith Thompson's Native American marriage stories. Since I did Google+ posts for the illustration icon and Reading Diary, it's easiest just to embed those here. On, and one more thing: I finished up adding illustrations for the Apache unit. 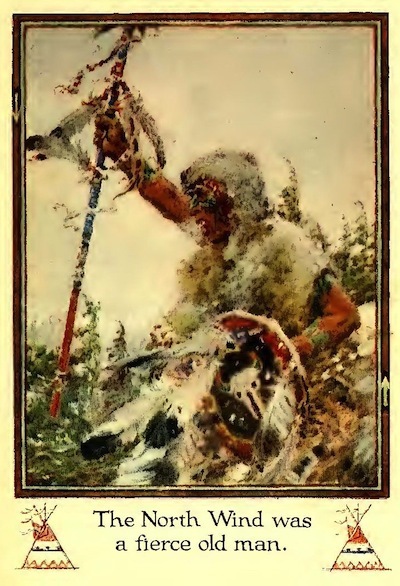 The Native American units as a general rule don't have illustrations from the sources, but luckily there is so much great nature photography online that I can try to conjure up a sense of place and also some of the animals that the stories are about. For the Apache stories, the Sangre di Cristo Range is essential, as in the story The First War. My big achievement for today was getting a start on the big task of explaining to students how the reading diaries will work; this was prompted by a back-and-forth with my buddy Justin over at Google+, so I've embedded that post here too. The result is a page at my class wiki where I've explained How the Reading Diaries Work. I'll be tinkering with that a lot, but now with that in place, I'll feel more confident about writing up my own reading diaries as I do the proofreading for the rest of the summer. You can see my own reading diaries here. It's not easy to pick my favorite stories each time, but it's a good exercise. I hope I can convey to students that the main goal of the note-taking is indeed to focus in on favorites. I know that not every story in every selection will please every student... but I do hope very much that every student can find a few stories during each reading session that they really like, stories they really enjoy and want to remember. Today was a busy and successful day for me: I had a revelation (! ), finished up the Tejas unit in terms of proofreading and pictures, and added two new units. I wrote up two of those already at Google+, so I'll just embed those posts here. REVELATION: I'm writing 300 trillion textbooks. Seriously, ha ha. Google+ post. New Unit: HIAWATHA. Details at Google+ post. New Unit: GREAT PLAINS. This is the fifth of six Judson books that I am including. Each of them has its special charms; since I am teaching at the University of Oklahoma, of course I am really pleased about this one! And... TEJAS LEGENDS. I am so glad that I decided to include this book from Sacred Texts; I have not seen it anywhere else online. There are some beautiful legends in here, and definitely some stories that will really appeal to my students. 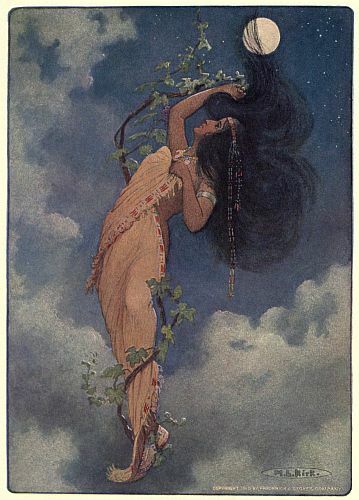 For example, there is a lovely fairy-tale type story that is also an aetiological story: where the purplse sage comes from - The Maiden Who Loved a Star. So today I worked on two VERY different things; I had one unit left from the Classical/Biblical weeks that needed proofing (all the other 15 of those units are proofed!) ... and then I got back to my focus for the next two weeks: Native stories. The contrast between the two parts of my day was very stimulating! Noah Unit. Easier just to embed the Google+ post here! Eskimo Unit. This is one of the very first units I put at the blog when I was testing my content ideas for the first time way back in March. This collection of stories by Knud Rasmussen is a book that has always fascinated me - both for the stories themselves, and also for Rasmussen's own life story (Wikipedia). I really enjoyed reading through the stories and I am so sure the students are going to like these, esp. students interested in stories about the supernatural (zombies, ghosts, wizards). I also really like that there are Inuit drawings to go with many of the stories, and today I added some photos for the stories that were not already illustrated. There are some awesome stories in here; one of my favorites is: Nukúnguasik, who Escaped from the Tupilak. Course Redesign Update: June 4 .... now 1000 stories! 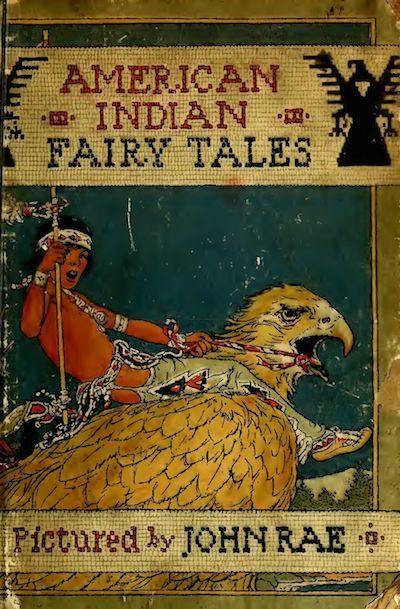 American Indian Fairy Tales by W.T. 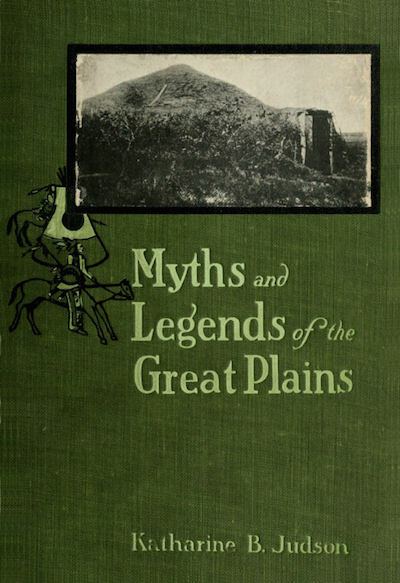 Larned, with illustrations by John Rae (1921). 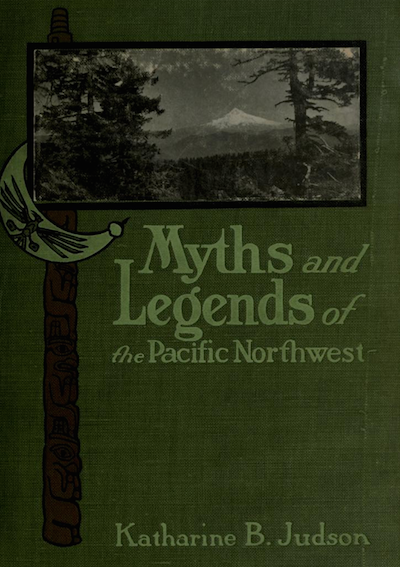 Myths and Legends of the Pacific Northwest, by Katharine Berry Judson (1910). Speaking of audio, this is going to be the unit that is most short on audio, but luckily Grinnell's Blackfeet stories are at LibriVox! That's actually why I included the Blackfeet stories, but then I was thrilled to find out that it included the story of Kutoyis (Blood-Clot Boy) which is a hero legend I really wanted to include. The hero materials throughout all these units is just excellent, and of course there are great trickster materials, and also lots of lovely creation stories and aetiological tales too. I really want to do a good job with the Native American part of the class, and I think this is going to give students more AND better opportunities to engage than in the old class where there was just one week of Native American material, not two, and the reading choice was just between Cherokee and California-Southwest. What an improvement - I am so excited about it, and I'm going to focus for the next 10 days or so in order to get the Native American units all posted. They take longer to proofread (some of the Judson books are just from OCR, not from already digitized texts), so hopefully this way I can get them all proofread now and then give them a second proofing in August, just to make sure they really are good to go. 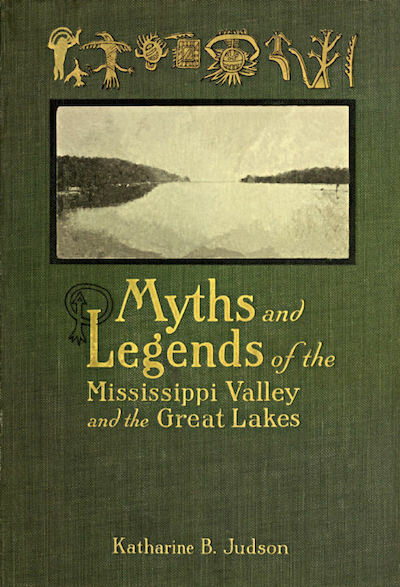 I added two new units to the Native American section: the Mississippi Valley - Great Lake collection edited by K. B. Judson and a collection of Sioux stories from two early Sioux women authors, Marie McLaughlin and Zitkala-Sa. I am so excited about both of these. 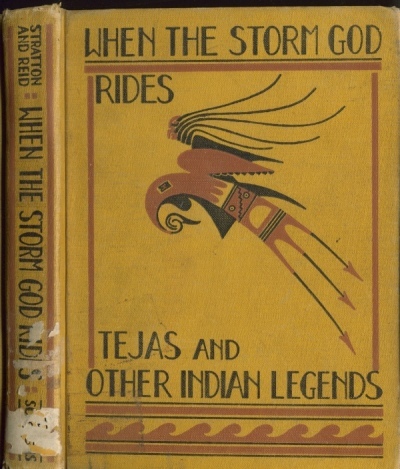 The material in the Judson book covers the adventures of Manabozho (Nanabozho, Nanabush, Manabush) which has got me thinking I really want to include a Hiawatha unit (yeah, Longfellow called him Hiawatha, but he really was Manabozho). So I need to ponder on that. I was out of town when the last "number-crunching" Sunday rolled around, but I'm ready to crunch some numbers today. I am EXACTLY on schedule, which is good to know! It is not great (I would love to be a little bit ahead of schedule), but given that the schedule is a really heavy one, just having stuck to it for the month of May is really encouraging, and I am feeling VERY confident that I can get done by August 1 what I want/hope to get done. My goal is to have 100 units (appx. 2000 stories) posted by August 1, with as many of those units fully illustrated and proofed. I also hope to have 24 units with completed commentary. There are also a lot of small tasks I have to do in terms of polishing up the units to get them ready for students to use (reading diary templates, storytelling ideas, etc. ), but a lot of that I can do as the semester goes by, provided I stay four weeks or so ahead of the students. Since I have all the content identified, I'm confident I can achieve these goals. So far, I am having SO MUCH FUN doing this, too — each morning when I sit down at the computer, I am eager to get started, and I've been putting in pretty much a full day every day. The days alternate because of the 50-new-posts-per-day limit at Blogger; every other day I add new units, and then on the alternating days I focus on proofing and adding images. When I'm watching TV in the evenings, I can do more-or-less mechanical stuff, like adding the navigation links or writing up the bibliography posts for the books I'm using as sources. Last week, I read some sobering information about how the millions of dollars that schools are spending to develop video resources for MOOCs and other online courses, thanks to this great blog post by Debbie Morrison. I have to say that reading those numbers really discouraged me because I get zero support from my university for the work I am doing this summer. The cheapest video production cost for a MOOC was $39,000 (with more typical numbers in the hundreds of thousands of dollars)... I sure would not object if the university wanted to throw $39,000 my way for all the work I am doing this summer, ha ha ha. Unlikely, of course: I am not paid for summers, and $39,000 just happens to be appx. the annual salary I make to begin with (well, I make $45,876.20). There ends my anti-video rant for the day. And now... back to work! I focused on adding images to my Adam and Eve unit today, and I think I might have time to add images to the Noah unit also! 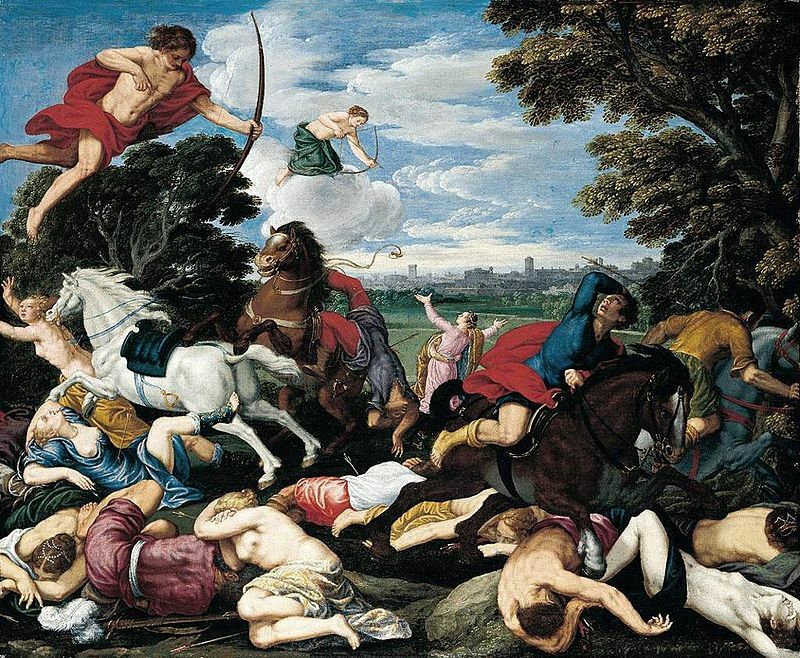 Here's one of my favorite images from Adam and Eve - it's Domenichino's "Rebuke of Adam and Eve." Even without words, the artist shows that God is upset with Adam, Adam is blaming Eve, and Eve is blaming the serpent. The animals, meanwhile, living at peace in the Garden of Eden, are clearly not impressed by what the humans are doing. Read the story: Adam and Eve - The Punishment.